Our pass through parts washer systems have a small footprint for cell manufacturing. 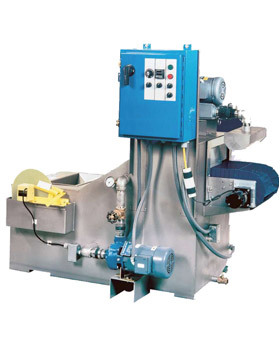 The inline cleaning system has a disc oil skimmer to remove true oils on parts from swiss machines, stamping / punch presses and other cnc machines using true oils or water soluble coolants. 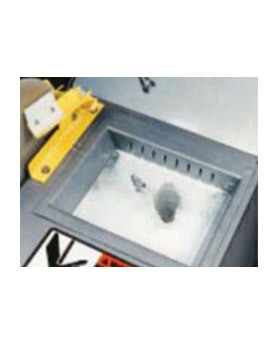 The process starts by manually or automated placement of parts from machining centers into the immersion tank shown below. 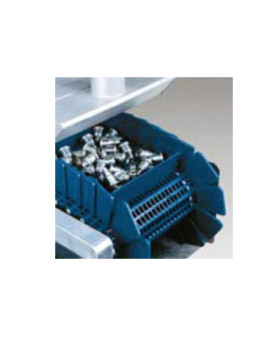 The parts start in the agitated immersion wash tank where a cleated conveyor moves the parts out of immersion into a pressure spray wash stage and finally the parts travel into a blow off dryer. 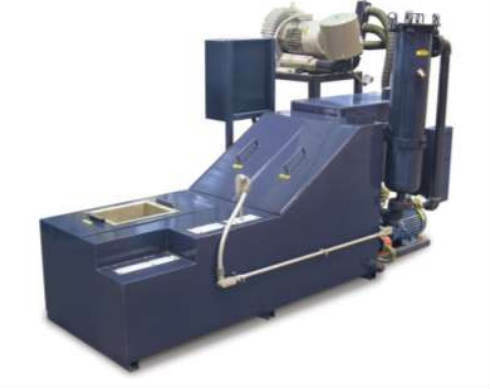 This small parts washer ensures that any excess moisture and solution removed at the blow off dry is returned to the wash tank.